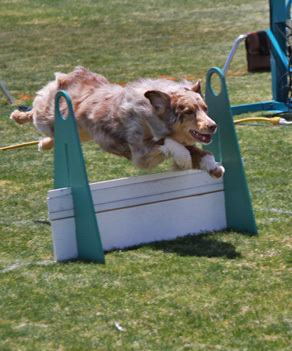 Roo, owned and trained by Marcia Walton, is a multitalented girl who competes in obedience and dock jumping as well as flyball. 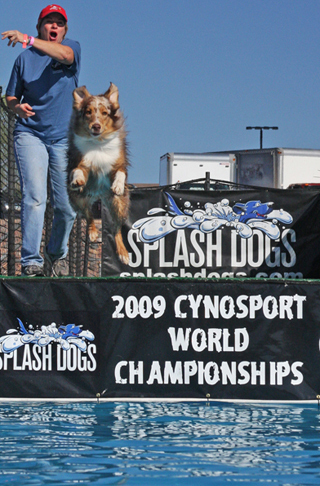 She is the 5th-ranked Australian Shepherd in Splash Dogs. 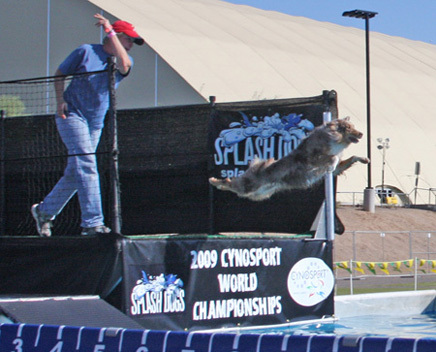 Although she just began competing in the spring of 2009, she is a key member of our multibreed team. 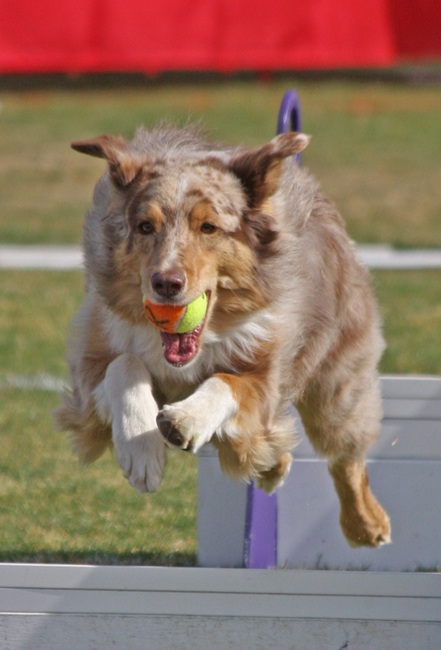 Roo has been getting faster every tournament--we don't know yet where her limit is--we just know that we love her!